🐀 Rat - A year full of happiness and prosperity! 🐂 Ox - A good year for Ox. A time with good opportunities to make money. 🐅 Tiger - Born in a strong and independent zodiac sign, as a general rule, you do what you please. This year through, you will need to learn how to come to terms with others. 🐇 Rabbit - An excellent year is waiting for you! A bit less wary than usual, you will easily get close to others and make new friends. Dragon - For you, the impact of the Pig’s calmness will mean a year of reconsiderations. 🐎 Horse - The year of the Pig 2019 is going to be more auspicious than the Dog Year 2018 ! 🐐 Goat - A 2019 year under the mark of chance, when all your ambitions will be fulfilled . 🐒 Monkey - A year under the influence of chance !. 🐓 Rooster - This year you need to actually pay attention to the quality of your relationships with others, if you want to succeed. 🐕 Dog - This year count only on your own efforts in order to succeed. Pig - The year 2019 is yours, right? Start by setting your priorities and then get to work: once you start moving, you will start seeing results. In the professional activity of Rat, Ox, Rabbit and Goat natives, everything should go very well. Full of energy and combativeness, the natives of these zodiac signs have every incentive to take advantage of any opportunity and set their goals as high as possible. Their efforts will be capitalized, having the chance on their side, between July and October of 2019. At the beginning of fall and towards the end of 2019, they will have to work harder, in case they are involved in teamwork projects. The professional activity of Tiger, Horse, Monkey and Pig natives, in 2019: at the end of February and all throughout March, it is best to balance their efforts otherwise, they will risk being overcome by exhaustion. Only from October-November of 2019, the natives of these zodiac signs will be able to achieve all their goals. This will ensure harmony at your workplace and help you improve the relationship with others. Also, the amethyst tree can help you attract financial luck and get more career opportunities. In terms of professional projects and activities, 2019 is going to an interesting year for the natives of Dragon, Snake, Rooster, and Dog. More ambitious than usual the natives of these zodiac signs will stop taking refuge in secondary roles and will dare to put themselves in the spotlight more often. 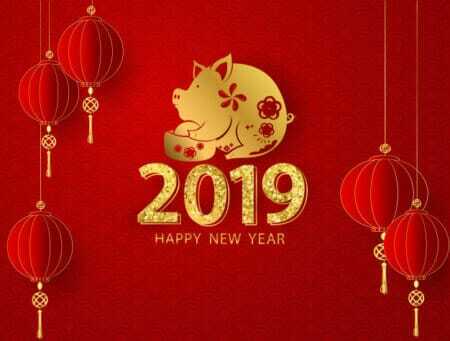 Their efforts will be rewarded right from the beginning of the Chinese New Year 2019. Few delays and inopportune timing are possible towards the end of 2019, but the final annual report is going to be positive. Yet, these natives should make sure not to overestimate their strength. Also, the excess risk (alimentation and not only) should be carefully regarded, because it can throw their body out of balance. Health-wise, those born under the Dragon, Snake, Pig, and Goat zodiac signs should have a reasonable attitude: they risk being out of shape. They will have so many things to do that their energy reserves, although important, can get depleted from time to time. The natives of these zodiac signs should allow themselves few days of rest and, once invigorated, they will be ready to hit the road. 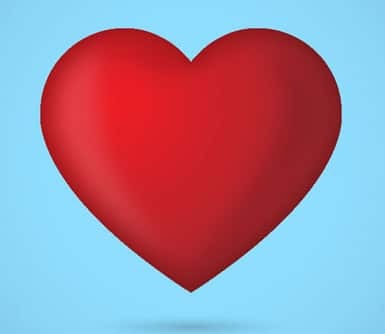 In love, the first trimester of 2019 is very auspicious for the married natives of Snake, Ox, Tiger, and Monkey. If in the last months of the Dog Year 2018, difficulties shadowed their married life, the partners can now restore the trust and fondness into their relationship. Beware! During the fall, they might be tempted to have an affair. If they are single, 2019 will be a pretty calm year. Only towards the end of the year, starting from November, they might have an important meeting. For the natives of Dragon, Rooster, Goat, and Horse that are involved in relationships, the year 2019 might be pretty stormy, especially if their married life doesn’t meet their expectations. In a permanent dispute, they risk wasting their energy trying to overcome difficulties. Place a pair of Feng Shui swans in a well-lit area with a good chi energy, so that everyone around can benefit from the attributes the swan represents. The Feng Shui swan symbolizes grace, beauty, purity, love, and delight. The natives of Horse, Ox, Dragon, and Pig represent some of the blessed Chinese zodiac signs, having the gift of longevity and health. The natives of these zodiac signs have a powerful constitution, an excellent physical condition, which will ensure a wonderful 2019 in love and in the career. The natives of Snake, Rat, Ox, and Rabbit will manage to take advantage of opportunities to improve their personal and professional life. The Romance Flying Star will bring luck in love and marriage. The single natives might attract a new life partner, while the natives already involved in a relationship might think to formalize their relationship or move to the next level, children. The Pig belongs to the group of water signs, it represents the beginning of winter and is the birth month of wood. Therefore, the Pig symbolizes the plant germination and the birth of a new life form. 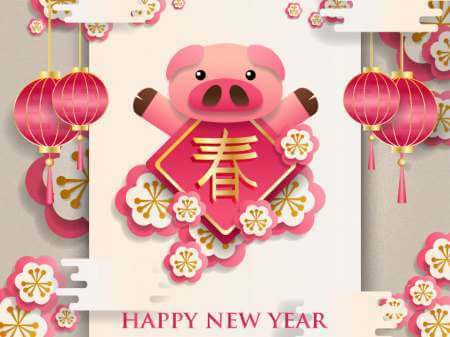 Consequently, the Year of the Pig can bring a new start in the international relationships and a new social order and, in some countries, can lead to new regimes and new governments. 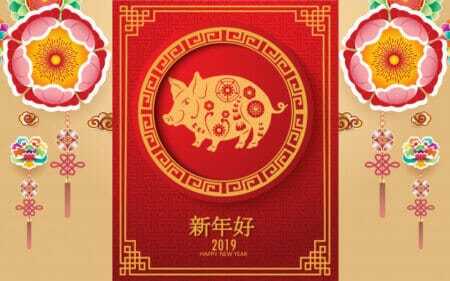 The Pig is also considered a “Traveling Star”, that’s why the Year of the Pig will stimulate traveling more than other years. The tourism industry will greatly benefit from this. 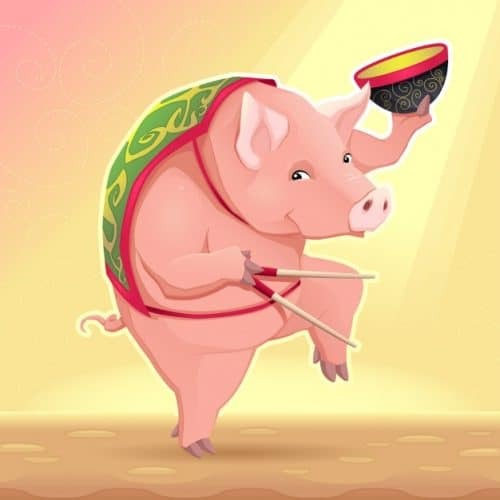 According to the Chinese tradition, the Pig is the life-lover archetype and, in 2019, we all need to learn how to take advantage, in an intelligent manner, of everything that’s beautiful in life. During this year, all the qualities of the Pig sign will find a way to express themselves: firstly, the gentleness and the generosity. Therefore, we’ll need to be more attentive to others and, on a collective level, all the altruistic initiatives will be favored. Another great quality of the Pig is the joy to live, and the Chinese astrologers believe it would be difficult to find another zodiac sign exulting as much optimism as the Pig. This characteristic can be an inspiration for all of us, giving us a better mood and a 100% zest for life…But, caution! 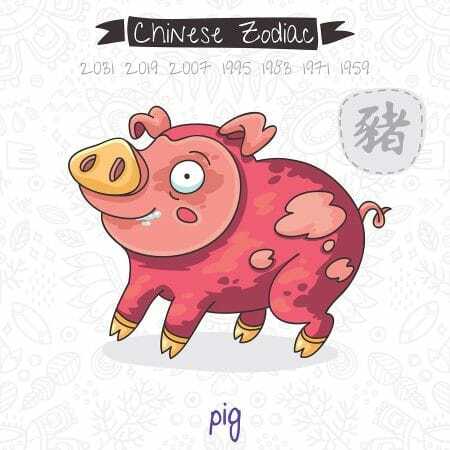 Honest, determined and loyal, the child born in the Pig zodiac sign is worthy of your trust. A good student, the child will work hard, never complaining when facing difficulties. It is advisable to give him all your support when needed and you will notice how he will rebuild his strength, overcome the failures and restart everything with renewed forces. Great organizer, the child will efficiently plan activities, but most often other people activities, because, in general, he cannot stand constraints. The adult born in the Pig year represents the knight stereotype – honest, resolved, and brave. 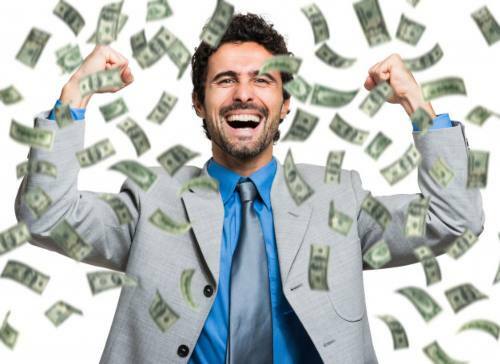 Generous and very genteel, he will share his money with you, if needed, but his expectations are as high. With his proverbial calm, he will tolerate many things and because he dislikes arguments, he will always cede, never seeking revenge. He will not even tell you that you are not right. The Pig natives are smart and they know how to defend their interests. The woman born in the Pig year has exemplary cleaning skills. Perfect host and great housewife, she wholeheartedly loves her husband and children, which represent her pride and the center of her life. She panders to their every whim and gives her supports even more than necessary. She ensures an atmosphere of contentment and full understanding in her entourage and family. The Pig native is one of the most sincere and modest sign of all zodiac signs. The naturalness and sincerity make him irresistible for the Goat, Rabbit, Tiger, and Dog natives. The Pig natives are very devoted to their love relationship, they regard their partner with respect and try to offer as many fulfillment, happy moments as possible, this is why they are appreciated by the Monkey, Rat, Ox, and Horse natives. Animosity and long-lasting conflicts might occur between the Dragon, Snake or Rooster natives and the Pig natives. Communication doesn’t really exist in these amorous entanglements and the relationships between the natives of these zodiac signs can be acceptable, but only moderately. Chinese New Year 2019 : When is it and how is it marked?